Bath taps should be a quick and easy choice when choosing for a new bathroom design, but with so many styles and choices available, you need to pay careful attention to your decision ensuring your new bath taps blend in with your other fixtures and fittings. You can imagine how wrong it would look if you had traditional bath taps in a modern bathroom design. You want to ensure everything you choose for your new bathroom design blends seamlessly together, complements each other and enhances the space. Chances are that by the time you start shopping around for bath taps you already know what basin, toilet and bath you are placing in the space. You’ll know your colour scheme, tiles and even what mirrors you’ll be using. It’s so important that the bath taps you choose blend in with your vision, making your bathroom the luxury space you are hoping for. Before you start shopping around imagine your completed bathroom in your mind. Is it a modern design or a traditional one? What style of taps will fit in with the design and complement the space? What you may not realise is that the bath taps you choose can either enhance the bathroom design or completely ruin it, which is why it’s important you make the right choice the first time. The ZD series bath and shower mixer is the perfect choice for any modern bathroom design. It’s a single arched bath tap with a rectangular shower head, finished in chrome and ideal for a modern style. The CA series on the other hand is a mounted bath and shower mixer and will quickly become the centre piece of your bathroom. These bath taps come with two levers that control the temperature and water flow. 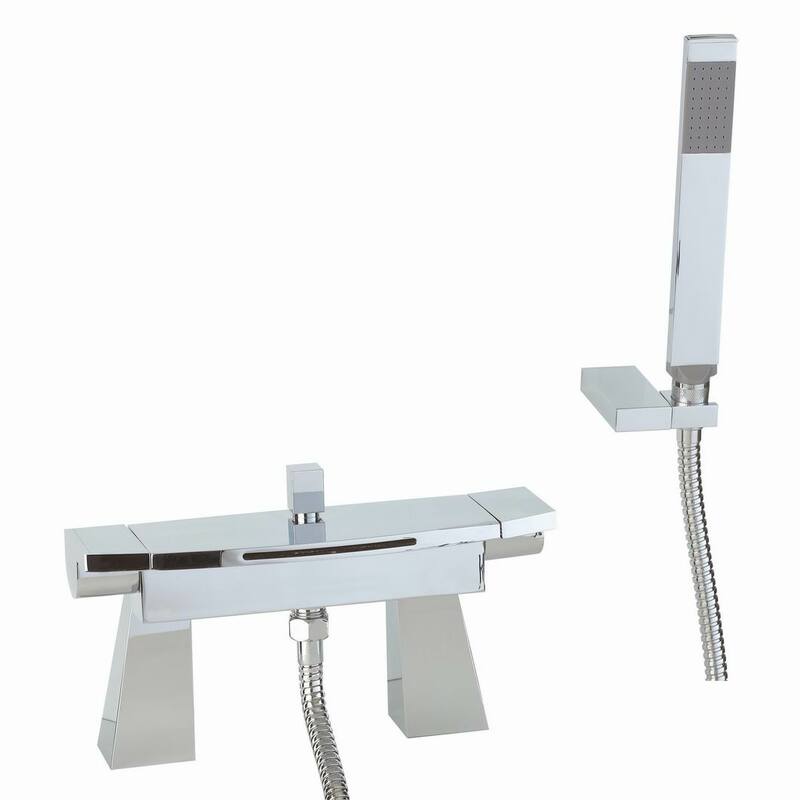 They offer a spectacular waterfall effect from a square tap combined with a thin rectangular shower head, both are finished in polished chrome to blend in with any modern bathroom design. The QS bath taps are the perfect choice when you’re not incorporating a shower. The taps are rectangular with ninety degree angled spouts and minimalistic button levers that will complement any ultra-modern bathroom design. The CR series gives you the chance to combine old and new with a stunning cylindrical design and cross head dials. These bath taps come with a cylindrical shower head and are the perfect addition if you have chosen gentle curves in your bathroom design.